To hear Rushan Roberts tell it, Jimmy Wopo was the Hill District’s Christopher Wallace. 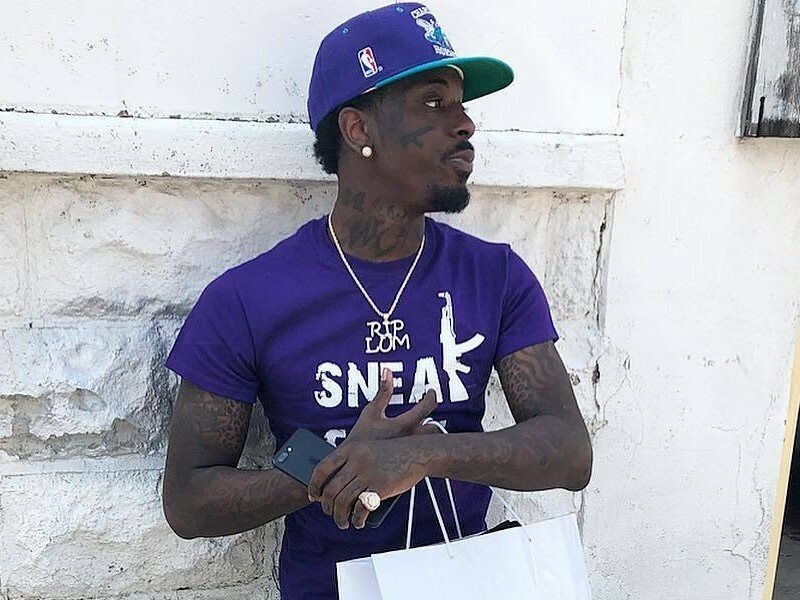 Wopo, born Travon Smart, was a native of Pittsburgh’s Hill District, and had just inked a deal with Wiz Khalifa’s Taylor Gang Entertainment before he was killed at 21 on Monday (June 18) in his own neighborhood. One of those kids, 14-year-old Traisean Bates, looked up to and took advice from Wopo. The burgeoning rapper told Traisean to stay in school, and advised him to earn money by mowing lawns. Traisean also loved Wopo’s music, including the songs “Devil Face” and “Elm Street.” He enjoyed the reality in Wopo’s raps. That reality is something Wopo had emphasized in his work from a young age. Roberts said that, when he was 11 or 12 years old, he starting recording songs. A younger Wopo heard them, and told him to stop rhyming about Ferraris and Lamborghinis and rap about what’s around him. Roberts said that for a while, Wopo put music on the back burner for a life of crime. However, after having a child, and seeing his friends die from the same life he was living, he decided to focus on music. From there, Wopo gained traction with his music, and began to act as a role model for the Hill District’s youths. Nicky Lee, who lives on Somers Drive in the Hill District, also saw a change in Wopo. Lee recalls that he was always respectful in conversations with her. Another Hill District resident, a man named Freddie who chose not to reveal his last name, recalled a time when Wopo bought about 40 kids treats from an ice cream truck. As he began to blow up, Wopo continued to support his community. He regularly showed up when Roberts, a former college basketball player, trained neighborhood athletes. He was even planning to finance a fundraiser for Roberts’ training camp, Camp Nitty. However, Wopo also stayed focused on his music dream, and was reportedly planning to move to Los Angeles after signing with Taylor Gang. That all ended Monday, when he was shot shortly after 4 p.m. while in his vehicle in the 2400 block of Wylie Avenue. The neighborhood is in mourning. Roberts is keeping busy training athletes, while Wopo’s death weighs heavily on Traisean’s mind. Dee Dee, another Hill District resident who chose not to reveal her name, said she spent much of Tuesday comforting her daughter, Sanaa, after Wopo’s death. I’m Purple Hearted Hoe ???‍♂️? He also acknowledged that the shooting could have been linked to Wopo’s past life. However, Roberts also said the reports about Wopo possibly being involved in two homicides have no merit. Roberts hopes that the neighborhood kids will take some positives from the tragedy. “His passing showed most of these kids that there’s really nothing in these streets,” he said. As for his friend, Roberts cherishes his memories of Travon Smart.